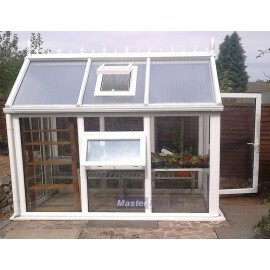 Introducing a new top quality PVC greenhouse complete with toughened double glazed glazing and 25mm polycarbonate. 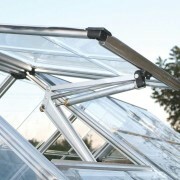 The greenhouse comes with one side vent and a roof vent. 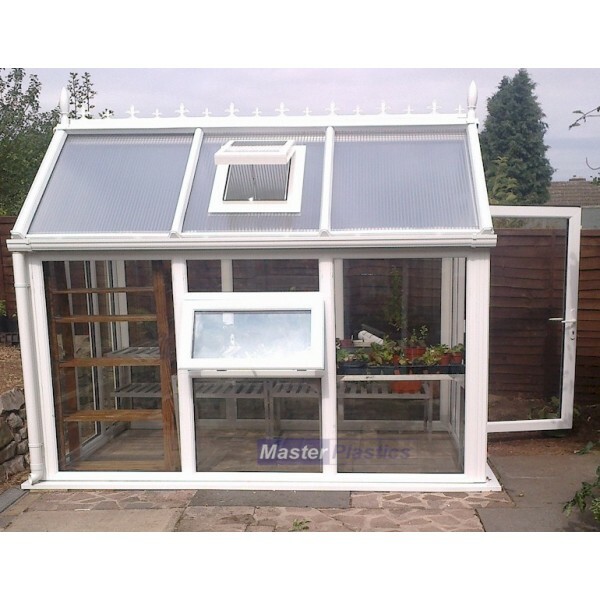 The door has a quality lockable handle and heavy duty hinges. 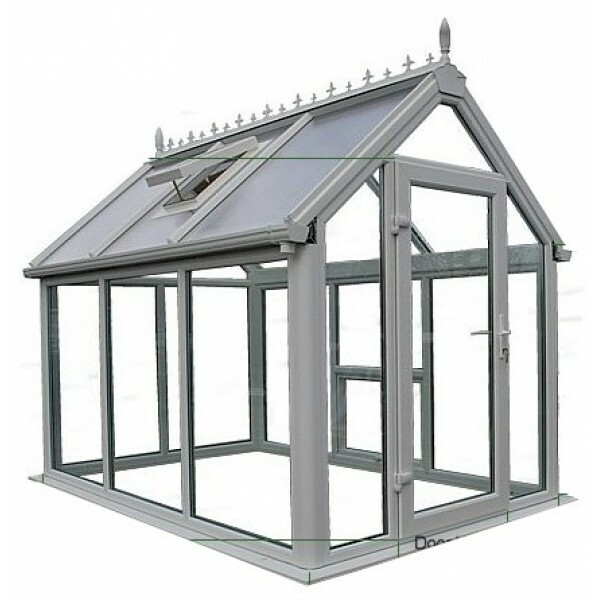 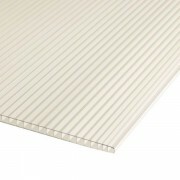 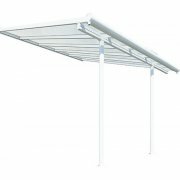 Supplied complete with cresting and finials on the roof and high-quality 125mm Regency guttering. 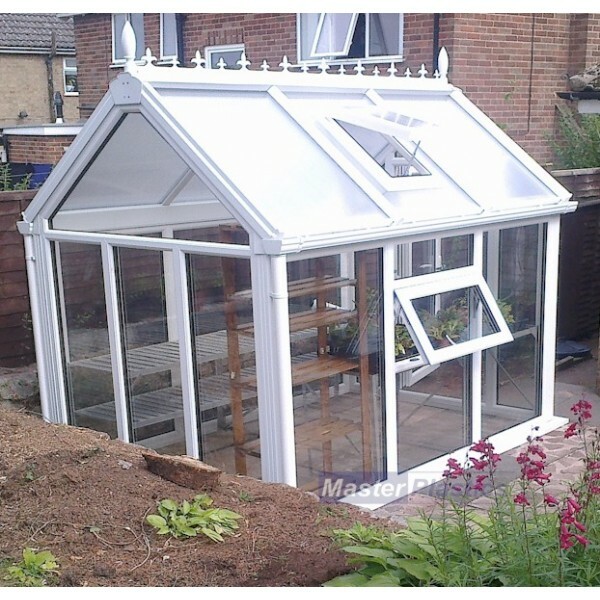 The double glazed units reduce the heating bills during winter and protect even the most delicate plants from winter weather.